Wicklow Sinn Féin TD John Brady has said that he believes the construction of a world class sports complex in North Wicklow is absolutely possible if the will exists to make it happen. Teachta Brady also said that the Cosgrave Property Group has lodged a planning application with Wicklow County Council for a 658-unit housing development in Fassaroe, this application is currently with An Bord Pleanála. The 48-hectare development between Bray and Enniskerry also includes substantial office and retail space as well as a district park and inland waterway. 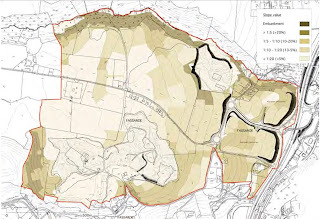 The scheme forms part of the council’s master plan for the Fassaroe area, which was drawn up in 2010 but later mothballed on account of the financial crisis. There is also provision for 49 acres for amenity space. When complete, the plan will provide up to 1,800 residential units.